45 cm x 90 cm. Matches LT Black + White Spot Terry Towels. Finish your bathroom off with a stylish LT Terry Hand Towel to match your LT Terry Bath Towels. Laura’s pick for adding to your LT towel collection. Trade discount available. See below who loves our hand towel! Our 100% Black + White Spot Terry Hand Towel has been designed to be unique and different. 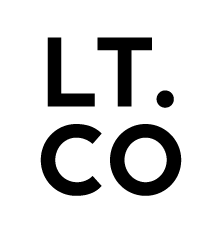 At LT we pride ourselves in stocking and supplying homeware that are not found on the High Street. Homewares that are different and unusual and that are not commonly found. Our Terry Hand Towel is not mass produced and has attracted buyers who like to buy homewares that are unique, made using natural fibres and hard wearing. Not only have our Terry Hand Towel been very popular with LT clients on our website and within our work-shop when visiting us in North Berwick, they have also purchased to feature in boutique accommodation. Our Terry hand Towel is great for domestic and residential use and washes well time and time again. From Perthshire at The Grandtully Hotel, to the Scottish Borders at Dod Mill to the south of England at The Brightside in Margate our Hand Towels have made a feature within the beautiful bathrooms of these very stylish boutique stays. An LT Hand Towel slung over the side of a bath at the Grandtully Hotel, Perthshire is a must visit! The food is focused on an exceptional Scottish food and drink experience. Dod Mill, Lauder in the Scottish Borders, is a collection of modern, rustic holiday cottages in the north Scottish Borders and close to Edinburgh featuring LT bedding, Terry Towels and Terry Hand Towels. The Brightside is a private penthouse duplex designed with luxurious simplicity, located directly on the beach just an hour from London, on the Kent coast featuring LT Hand Towels.